I’m not a big fan of grading a draft right after it happens, due to the fact that it’s pretty difficult to grade a player before they have taken a single snap in the NFL. But there are picks the Packers made that I liked more than others, some because they fill a perceived need, some because I like the particular player, and others just seemed like a good value. We will see what happens when the pads are put on, but here are my initial thoughts and rankings of the Packers’ draft picks. 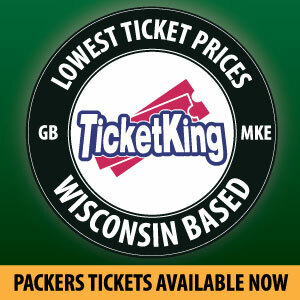 Ted Thompson has a reputation as being unpredictable during the draft, but during the 1st round of the draft going back to 2009, he has always selected a player who could be argued fills the Packers’ biggest need, and the selection of Clinton-Dix continues that tradition. 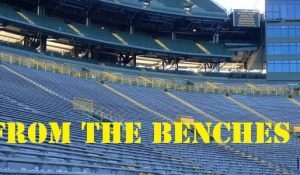 Clinton-Dix should be the opening day starter at safety opposite of Morgan Burnett, and he is the instant upgrade the Packers’ secondary needed. I have been critical of Thompson for not devoting enough attention to the outside linebacker position, so the selection of Bradford made day 3 of the draft for me. Bradford is a relentless pass rusher, who if it wasn’t for his size limitations, probably would have gone a lot earlier in the draft. 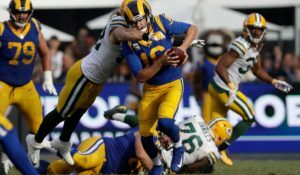 With the re-signing of Mike Neal and the addition of Julius Peppers, the Packers now seem to have a plethora of pass rushers, but I still think Bradford will find a way to get on the field quite a bit this season. With the success Thompson has had with previous 2nd round receiver picks, it was no surprise that is the direction the Packers went in round 2. The biggest question was which receiver would the Packers choose? Along with Adams, Penn State’s Allen Robinson and Indiana’s Cody Latimer, who the Packers were supposedly very high on, were all available. The two most common comparisons for Adams are James Jones and Michael Crabtree, and if he is as good as either one of those players, the Packers will have found themselves another gem in the 2nd round. A great value pick in the 5th round, not only will Abbrederis help solidify the Packers’ receiving corps, but he should also be able to contribute as a kick and punt returner. His concussion history is a little concerning, but if he is able to stay healthy and add a bit of strength to his 6’1” frame, he should have a very productive NFL career. 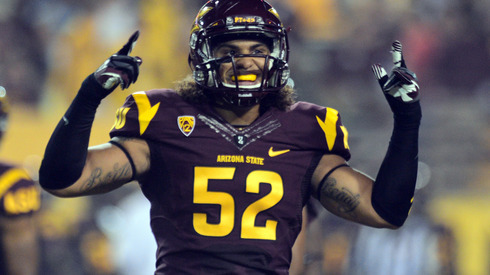 A lot of Packer fans weren’t thrilled about this pick, and I do think Thorton is a player the Packers probably could have taken in the 4th or maybe even 5th round, but I think he has a chance at being a very good player. Thorton is quick off the ball and his size should allow him to play both end and tackle, providing some versatility along the defensive line. 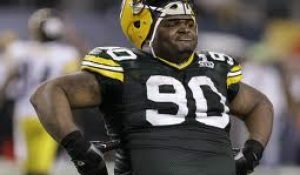 The Packer were wise to draft a true center to compete with JC Tretter for the starting job, rather than trying to convert another college left tackle. Linsley’s strength is impressive, but his size could be a concern. He was the smallest out of the top 10 centers in the draft. Linsley does have experience playing guard as well as center, so if he is not able to win the starting job, he should add quality depth along the interior of the Packers’ offensive line. With the depth the Packers have at cornerback, Goodson might have a difficult time making the roster this season. Being a 6th round pick there is a good chance the Packers will be able to stash him on the practice squad which would allow the inexperienced Goodson some time to develop, the problem is Goodson is already 25, a few years older than most of the other rookies. His skills warranted a late round pick, but his inexperience coupled with his injury history, he had serious injuries in both 2011 and 2012, makes this a somewhat risky pick. I like Janis as a player, and he undoubtedly has some upside, but it will be a struggle for him to even make the roster with the selections of Adams and Abbrederis. I thought the Packers would have been better off taking a shot at one of the linebackers that were still available like Shane Skov, Christian Jones, or Yawin Smallwood. I wanted the Packers to replenish their receiver group, but using 3 out of 9 selections on receivers seems a tad excessive. If Rodgers was selected in the 6th or 7th round I would have been fine with this pick, but in the 3rd round the Packers still had an opportunity to grab some instant impact players, and I don’t see Rodgers having a huge impact this season or even having tremendous upside. He wasn’t very productive at Cal and tested poorly at the combine, but hopefully the Packers coaching staff can get the best out of him. This entry was posted in Packers 2014 - 2015 Season and tagged Carl Bradford, Davante Adams, Demitri Goodson, Ha Ha Clinton-Dix, Jared Abbrederis, Jeff Janis, Richard Rodgers. Bookmark the permalink.